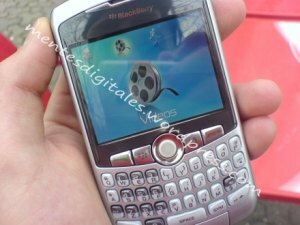 Blackberry 8300 to be called the Curve? | BlackBerry Blast! BlackBerry Blast! > News > Blackberry 8300 to be called the Curve? Blackberry 8300 to be called the Curve? Rumors are flying today over a possible name for the Blackberry 8300. It seems there was a redirect of the domain name blackberrycurve.com that went to blackberry8300.com. Does this mean the Blackberry 8300 is getting a new name? No confirmation yet but that might be a huge hint.